Chocolate mousse is the ideal destination for the dark chocolate eggs noone wants to eat. Make sure they are darkest dark chocolate (70 percent plus cocoa) and melt them down for a higher cause. Chocolate mousse is simple – it has very few ingredients. I dont find it easy to make though. If the melted chocolate is too cold when you mix it with the yolks, the mousse will be lumpy, but delicious. If the chocolate is too hot, the egg yolks scramble and you can throw it in the bin. Once I tried sieving out the tiny yellow lumps of egg. Not worth the effort. 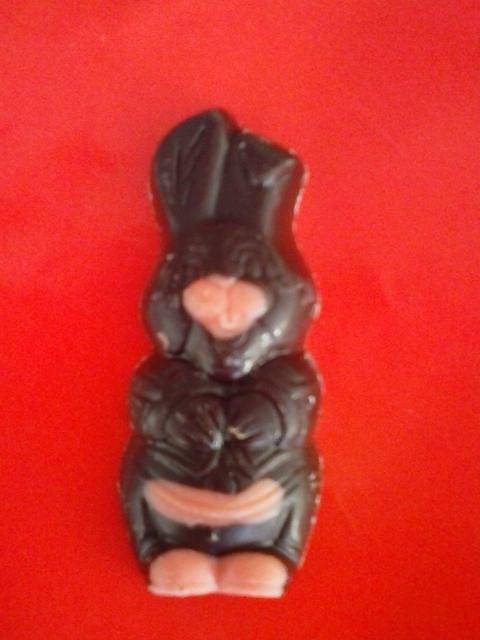 Eat your other eggs instead and try making the mousse some other time with a bar of chocolate. Happy Easter. 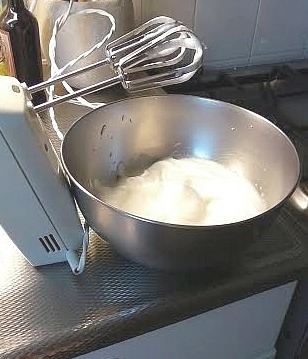 My Philips electric mixer is nearly 25 years old. My mum’s is nearly 50. Split the eggs. Put the whites in a large, clean bowl. Put the yolks in a small bowl and loosen with a fork. Chop the chocolate into small pieces with a large knife. Put in a large bowl with the liquid and melt in the microwave or over a pan of simmering water. Allow the chocolate to cool for a few minutes. Quickly mix in the yolks using a large metal spoon. Put a spoon of the whites on the chocolate and mix in. Put in the fridge to set. This will take an hour in small bowls (small coffee cups look good), several hours for one large bowl. Serve very small portions with some sweetened whipped cream to cut the intensity, and maybe some sour berries or other fruit.